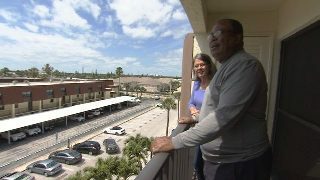 ORLANDO - Action 9 investigates sky-high condo fee increases that many owners claim will force them to sell. They're facing a 400 percent fee hike and say state regulators aren't protecting them. Consumer investigator Todd Ulrich took their case to the condo board and the state to get answers. It's been their beach escape for 16 years, but now Ernest and Susan Lee claim they're being forced out by their condo association. “This is nothing but a condo version of a hostile takeover,” Ernest Lee said. The Lees say a Canadian family had been buying condos at Chateau by the Sea and now own more than 50 percent of the units. That is enough to elect supporters to the board of directors, who passed sky-high maintenance fee increases. The fee went from $400 a month in 2017 to the current cost of $2,000 a month. “It's ridiculous. It's highway robbery,” Susan Lee said. That adds up to $24,000 in condo fees a year. The Lees say they'll be forced to sell. Ulrich reached former owner Rich Irwin, who has already sold his unit. “Did you have to sell?” Ulrich asked. Condo owners Ulrich talked to say the new board found reserves for major repairs were drastically underfunded, and that's why it approved huge increases. But the Lees say repairs were covered before. “When the money was needed, we'd raise it through special assessments,” Susan Lee said. Several owners complained to Florida's Division of Condominiums, claiming the fee increase was more than the 115 percent fee hike allowed by statute. The state found that limit didn't cover increases for reserves, but the state warned the board that its reserve study was not properly done. BP Davis Property Management handles the association's account. Ulrich went to the management company’s office for answers. “I've talked to owners at Chateau by the Sea. They have lots of questions about sky-high fee increases,” Ulrich said. “No, we're not getting into that,” a manager replied. Later, association President Drew Groff told Ulrich that its engineering study found serious repair issues were neglected, including replacing outside hallways, and big dues increases were the only option. Groff also said the board addressed the state's concerns. “It's their way or the highway,” Ernest Lee said. Action 9 checked property records. Twelve owners at Chateau by the Sea out of 42 have sold their units in just the past year. The board president declined to discuss that. After decades of condominium reserves being underfunded and needed maintenance being ignored, the building was left in a state of disrepair. A 3rd party engineer has recommended that repairs be completed as soon as possible for safety reasons and to prevent further damage and cost escalation. Unfortunately this work requires higher fees in the short term. We are looking forward to completing the necessary improvements for the safety of all residents and guests.